Incorporated in proteins, selenium (a trace mineral) is considered an essential ingredient for good health. 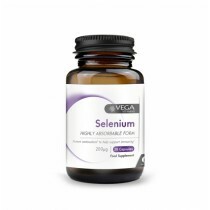 As one of the important antioxidant enzymes, there is need for only a small amount of selenium and that can be obtained through selenium supplements taken on a daily basis. Antioxidants aid our body by helping prevent cellular damage due to free radicals. Natural byproducts of oxygen, free radicals are thought to contribute to development of cancers, heart diseases, and other chronic diseases. 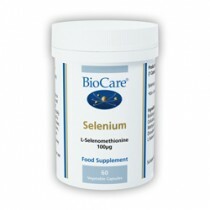 Selenoproteins additionally help by regulating thyroid function and assist in bolstering the immune system. Selenium is found in many meats and plant foods around the world and the amount contained in each varies depending on the selenium content of soil on which animals are raised or plants are grown. Certain areas of the United States are considered especially high in selenium content and they include Nebraska’s high plains and most of the land in both North and South Dakota. It has been noted that people who live in these areas have the highest selenium levels in the country. It is helpful that foods are transported to many other areas of the country to distribute the many vitamins, minerals, and other key ingredients we need in our daily diet. 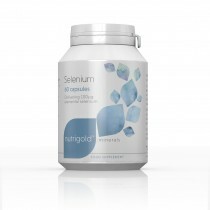 An additional supplement of selenium and other minerals insures we get the amount our body requires on a daily basis for selenium benefits. The Dietary Reference Intakes or DRIs recommends a daily amount of selenium depending on age as twenty micrograms from ages one to three, thirty micrograms from age four through eight, forty micrograms for those age nine through thirteen, fifty five micrograms for ages fourteen and older. Infants do not have an established daily recommendation and it is considered they should receive enough through their mother’s milk or formula if they are getting fifteen to twenty micrograms from birth through the first year. Dietary micronutrients have an effect on blood pressure and there are studies aimed toward determining just how much enough is as well as how much may be too much when it comes to selenium supplements and other trace minerals and vitamins. Animals that live and eat grasses grown on soil rich in selenium will have more selenium in their milk and their meat than those from areas lacking in that mineral. Meat, nuts, and bread (from wheat) grown in high in selenium are generally considered to be of greater benefit and should be preferred. Brazil nuts are quite high in selenium at 544 micrograms per ounce. Light tuna, packed in oil, contains approximately sixty three micrograms in a three ounce can, cooked beef has about thirty five micrograms per three and a half ounce portion, with spaghetti, turkey and cod fish following with thirty some micrograms per three ounce portion. The Food and Drug Administration (FDA) helps consumers decide which foods are most beneficial by determining how much of each vitamin and mineral is contained in any given food product. Food labels generally do not include the amount of selenium that is provided in a food. 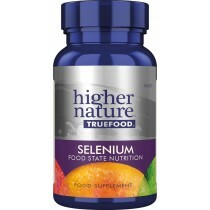 The addition of a quality selenium vitamin is beneficial to insure the daily diet is complete and healthful. 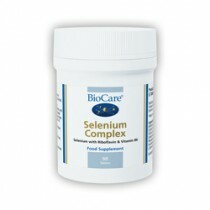 Some countries, most notably China, has been found to have selenium deficient soil and this has been blamed for such problems as heart disease including enlarged hearts and poor heart function, osteoarthropathy, a weakening of the immune systems, some forms of mental retardation, and hypothyroidism.